Mini cars (kei car) have reached record high popularity in Japan as more than half of the country's households own a mini car. Photo by Joel. More than half of Japan’s households own a mini car (kei car), indicates new figures from the Japan Mini Vehicle Association. The annual survey that dates back to 1986 recorded a record high this year with mini car ownership in 50.6 percent of households. Rural areas claimed both the highest and lowest household mini car ownership rates. The study cites this as evidence suggesting the versatility of mini cars as vehicles not exclusive to city driving. 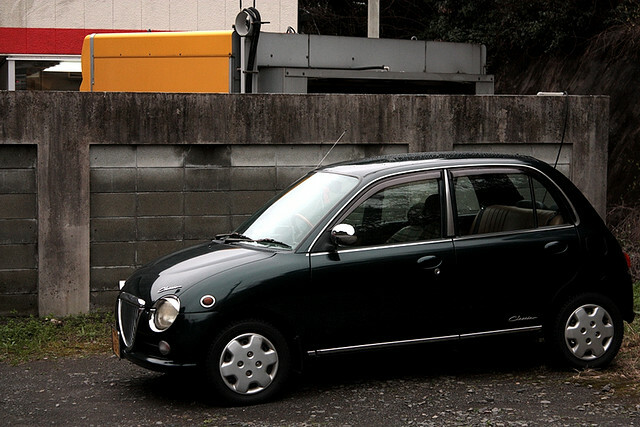 The surveyed area with the absolute highest proportion of mini cars was Tottori Prefecture, where at least one mini car is found in 98 out of 100 households. U.S. biomass feedstocks provide the potential for biofuels to displace 30 percent or more of the country’s petroleum consumption, reports the U.S. Department of Energy (DOE) in a new study, “2011 U.S. Billion-Ton Update: Biomass Supply for a Bioenergy and Bioproducts Industry.” The report assesses the U.S.’s ability to produce energy-related biomass feedstocks, provides a county-by-county inventory of potential feedstocks, and outlines price and quantity listings for individual feedstocks. The report serves as an update on a study with similar findings released by the DOE in 2005. Joint funding from the U.S. Departments of Energy and Agriculture totaling $12 million in grants was awarded to 10 research projects targeting the development of biofuel and bioenergy crops. The research involves improving the breeding-efficiency, environmental resilience, quality, and yield quantity of various grasses and trees, including switchgrass, poplar, Miscanthus and Brachypodium. Biofuel farming is praised as an especially valuable venture for farmers, as it can typically be conducted on farmland unfit for foodstuff cultivation. This year’s program marks the sixth year of the two departments’ joint funding project.